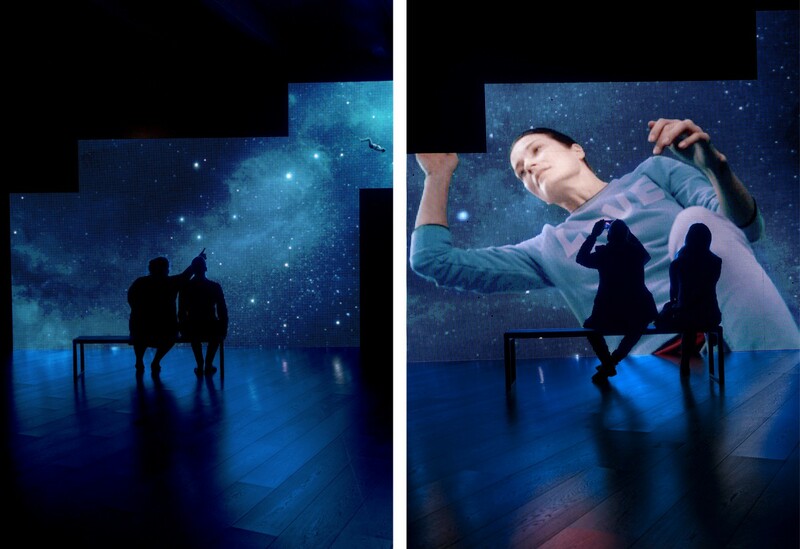 POTENTIALITY FOR LOVE is a hybrid piece that combines sculpture with moving image. It deals with the potential for empathy and love towards other living beings. The work consists of three parts each approaching the theme from a different angle an d medium. 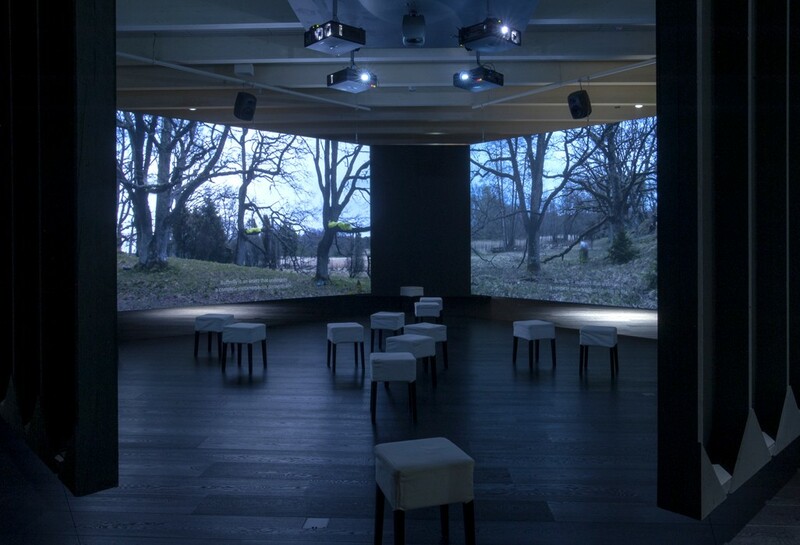 STUDIES ON THE ECOLOGY OF DRAMA 1 is a 25-minute projected moving image installation that uses the methods of presentation as a path to the company of other living beings. 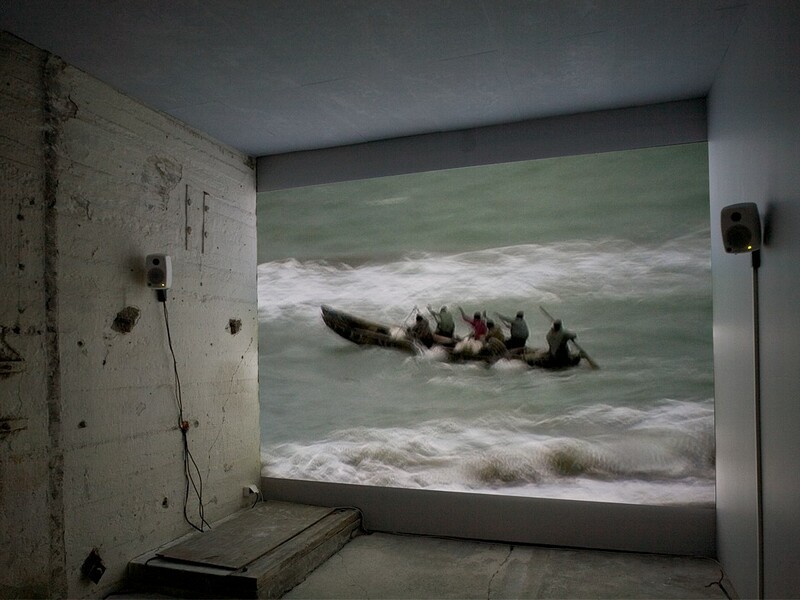 It expands upon the issues of ecological moving image narrative explored in two previous works (The Annunciation 2010, Horizontal 2011) – the focus in this work being on presentation, imaging and imagination in the context of the moving image. 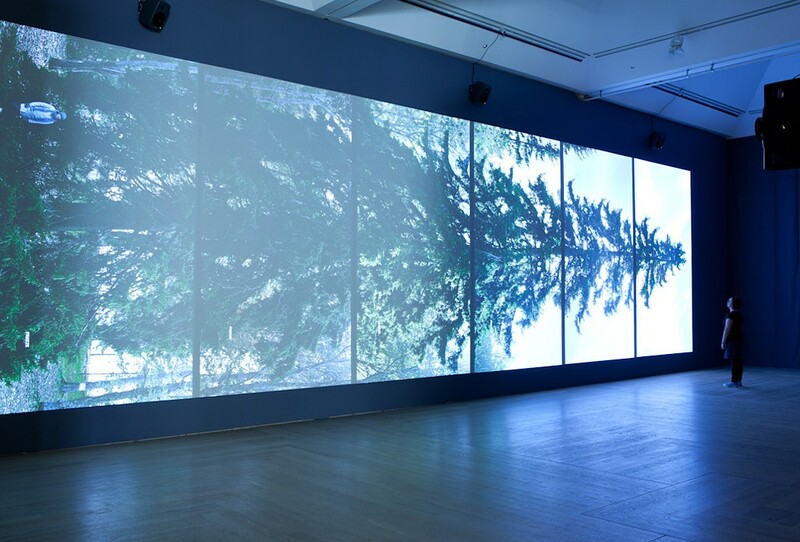 HORIZONTAL is a six-channel moving image work of a living spruce tree. The idea of the work is to show the tree in its entirety, as far as possible retaining its natural size and shape. 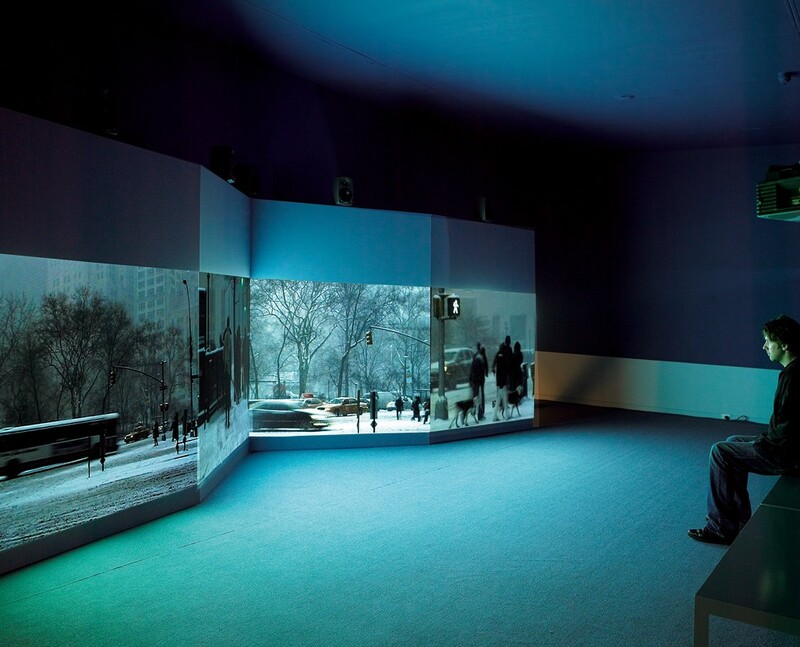 Because a life-size tree does not fit in a standard-sized human space, the tree is presented horizontally in the form of successive projected images. The work is a portrait of the tree. It is a record of its existence as a living organism, or perhaps more to the point, a presentation of the difficulty of perceiving and recording a spruce tree with the methods of visual documentation invented by humans. 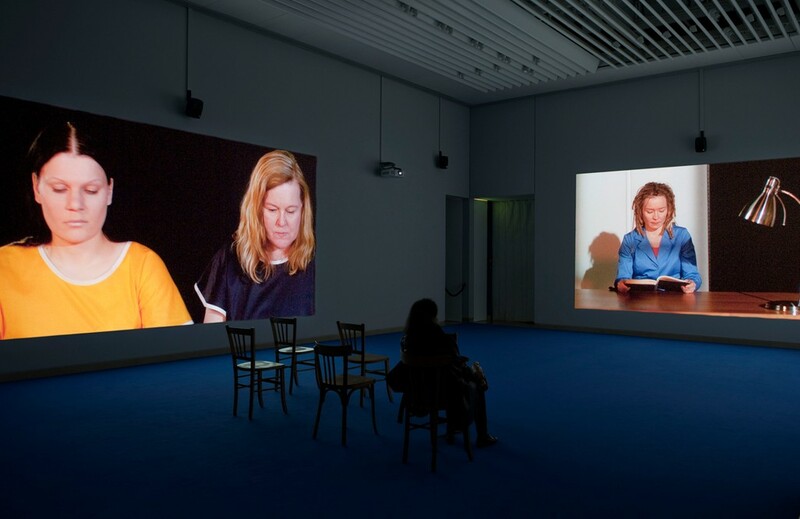 THE ANNUNCIATION is an installation of three projected images in which one of the central motifs of Christian iconography is constructed and re-enacted through the moving image. It is based on the narrative in the Gospel of Luke (1:26-38) and on paintings of the Annunciation in which artists have, in various periods, depicted their visions of the gospel’s events. In this Annunciation the events are set in the present. The work consists of material produced during the preparations for shooting and an actual reconstruction of the event of the Annunciation. The footage was shot mainly during the frosty winter season of 2010 in the snowy Aulanko nature reserve in southern Finland and on a set depicting an artist’s studio and the scene of the Annunciation. All human actors except for two are non-professionals. The theme of WHERE IS WHERE? is colonialism and the presence of two different cultures. 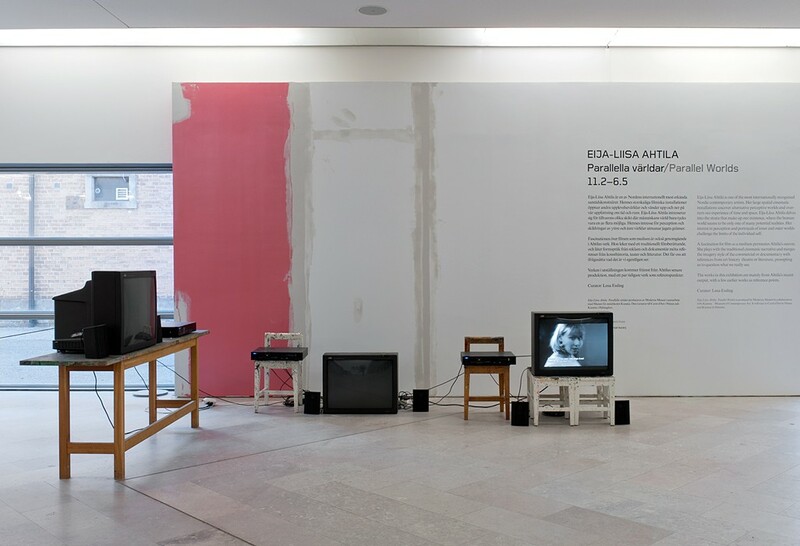 It raises the question of how to portray a historical event, how it can be seen and understood within the framework of the present, and who has the right to interpret the event in the first place? 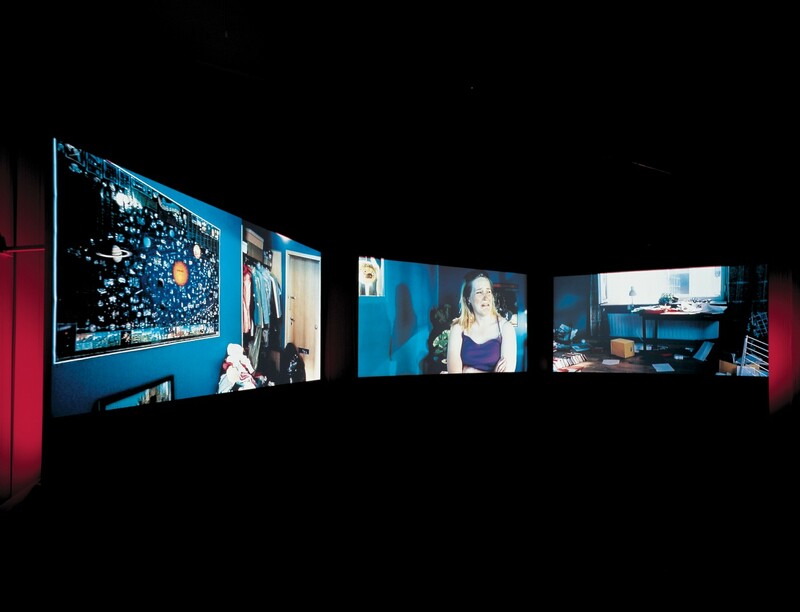 FISHERMEN is a 5 minute 34 second long single channel projection. It shows fishermen in their boats heading out to sea. There is a strong wind and heavy waves. Despite numerous attempts the men fail. The waves capsize their boats and scatter their fishing equipment over the water – repeatedly. Filmed in West Africa. – shut the door please! – where’s the draft coming from, then? THE WIND is a story of a woman who cannot shout. Instead she bites her hands to the bones. From the open window a violent wind enters and together they start to work on things. 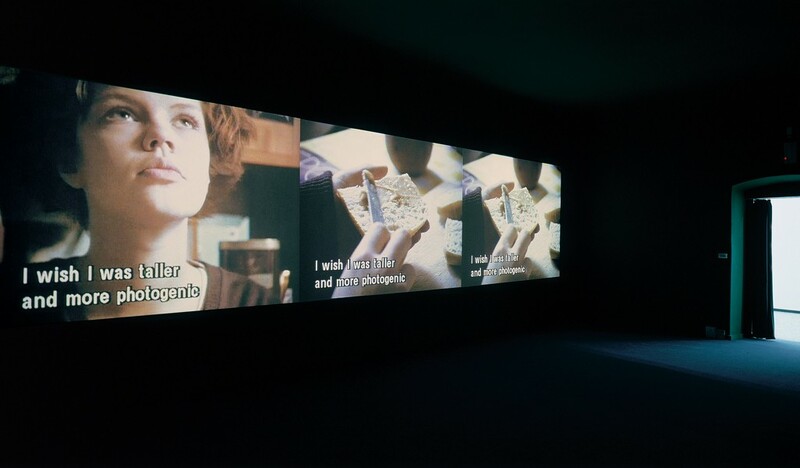 The woman disarranges everything in her room, giving a new purpose and order to things, until she controls every detail in her empire of the reason. 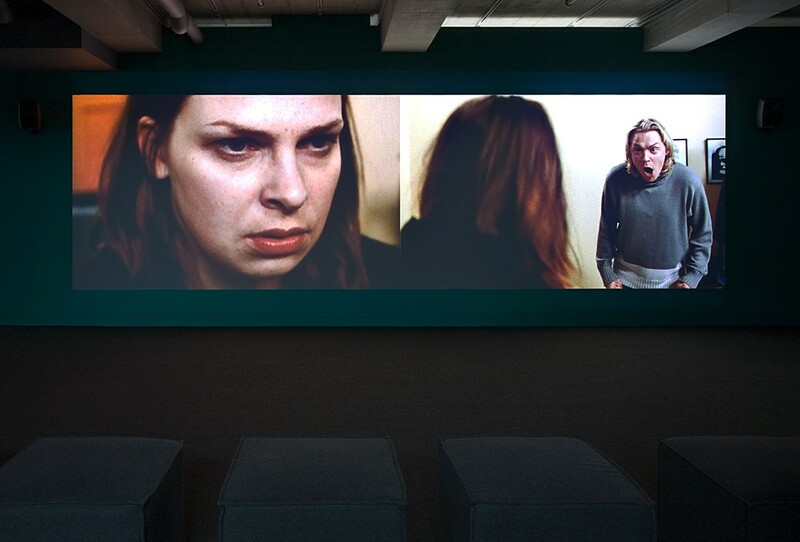 THE HOUSE is a story about a woman who starts to hear extra voices. They interfere with her perception of the world and gradually disrupt the time and space around her. She shuts out all the images by covering the windows of her house with black curtains so that she can be in the space where the sounds are. 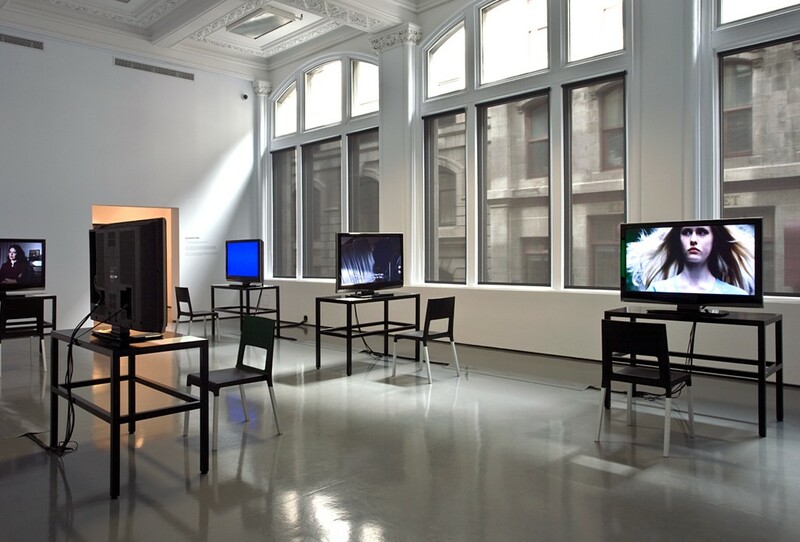 THE PRESENT consists of five independent short films exhibited as a five-channel monitor installation in museums and galleries, and five spots to be shown among advertisements on television. 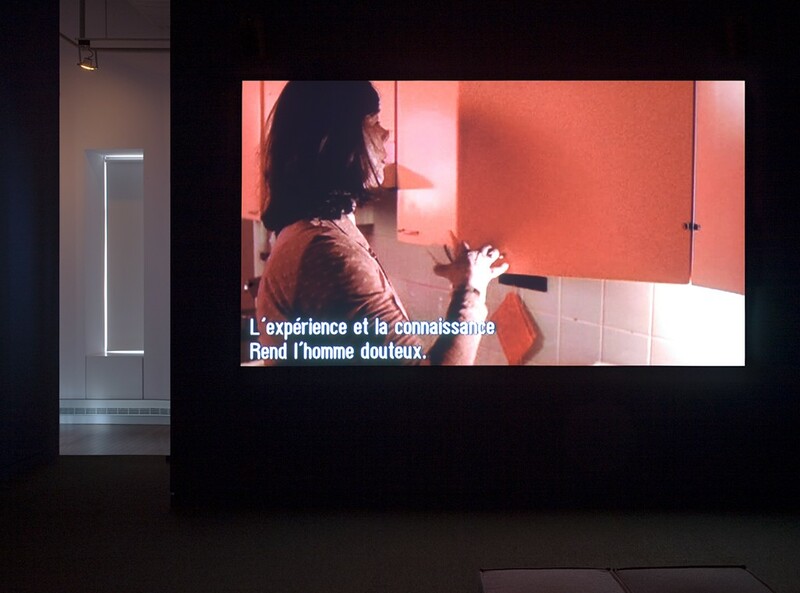 The subject matter of “the Present” is the stories and personal worlds of women who have experienced psychosis. The material is based on interviews, but the episodes are fictional. ANNE, AKI AND GOD is an installation based on material borrowed from the film script "A Quest For A Woman", a work in progress. Three characters were chosen from the original material. 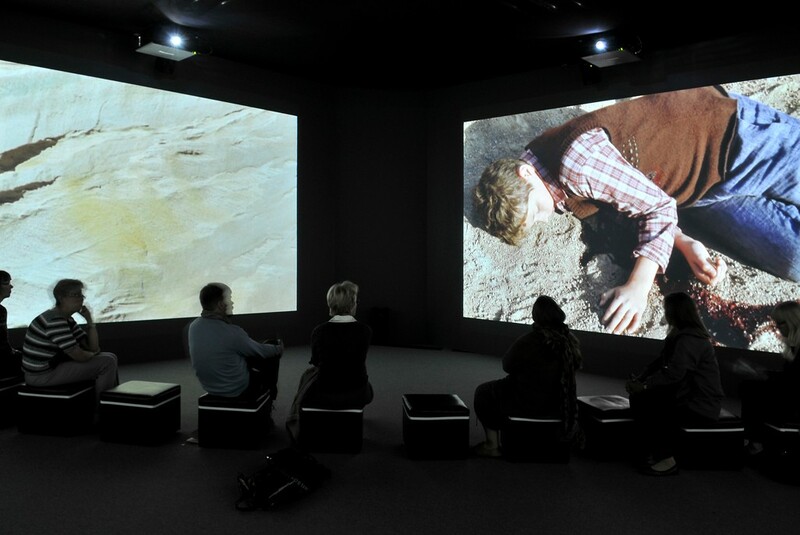 Their roles have been adjusted and enhanced for the installation to create a work of its own. 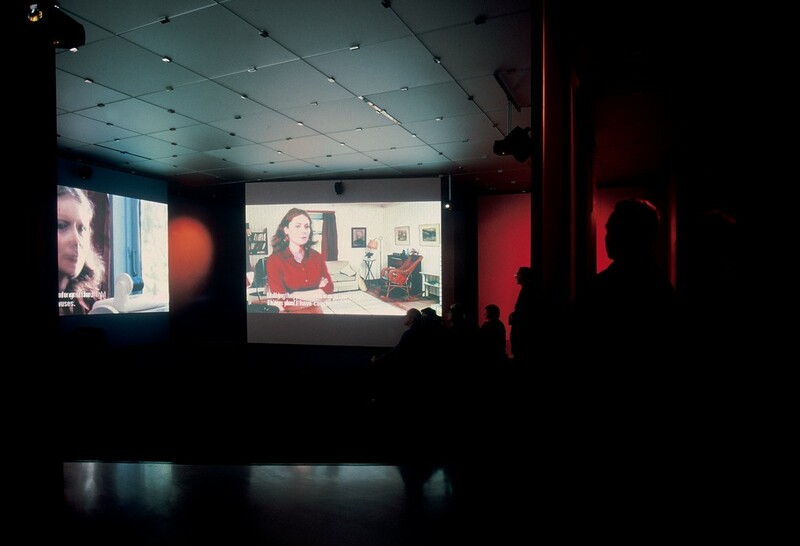 The installation examines the thoughts and context in the background of "A Quest For A Woman" and the process of film making in general. This is juxtaposed with Aki's situation when he, in a state of psychosis, creates a world of his own.